As the years came and gone he was bullied in school, made lower grades than the other kids, and wore out-of-style clothing. He hid his hurt and anger but never understood why life was just so hard. “Life’s not fair,” others would tell him but it didn’t ease his anger. As an adult his anger has turned to bitterness. He growls at people in response to their attempts to show him kindness. He pushes others away in his self-imposed prison. The lesson of “trust no-one” runs hot through his veins. Sitting on a bus bench, waiting for the bus to carry him to his menial job, the pain hits him like a train. He falls off the bench in a crumpled ball groaning and screaming. In the ambulance he is in and out of consciousness and the scream of the siren sounds far away. He isn’t aware when the gurney speedily rolls him down the halls of the hospital into the operating room. “What!? What do you mean a tree and roots! ?” Fred demands. He tries to sit up in the bed but can’t. The Man turns and leaves the room leaving Fred shedding tears of understanding and relief. A truly powerful message. This applies to so many of us. It sure does. 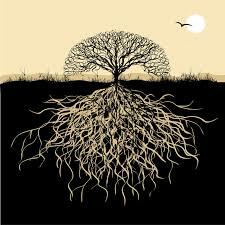 We don’t realize that unforegiveness is a path to bitter roots. Thank you for chiming in and blessings to you.